If your current activity tracker has mistaken your dancing down the club with swimming, it’s either time to get a Fitbit or it’s time to improve your dancing. Maybe both? We can’t offer you Men’s Gear Salsa classes just yet, but we can teach you a thing or two about Fitbits for men. A men’s Fitbit is an excellent way to improve your lifestyle, get active and enhance your quality of sleep. These small devices have lots of features to help you reach your fitness goals or just avoid aggravating aches and pains. They are the anti-sedentary must-have for guys who have noticed the waistline expand and for the same guys whose girlfriends weren’t afraid to point it out. The Fitbit family is expanding and more and more of their products are hitting the shelves. This makes it confusing to know which one is right for you. Fear not, we have done the research once again and compiled a list of the best men’s Fitbits currently on the market. Check out our five hot picks below to find your next, or first, quality Fitbit. What Are The Main Things To Consider When Buying A Fitness Band Like A Fitbit? Choosing your child’s name, the toppings on a pizza, buying a house and getting a Fitbit are all things that should never be rushed. When it comes to the last one, there are certainly things to consider before making your purchase. Fitbits can be very beneficial to the everyday guy, but they can also be useful to very active guys and especially those who play a specific sport. However, these two different groups of men do not necessarily need the same Fitbit. A basic Fitbit will cater for the guy who just wants to move around more, while the more sophisticated Fitbits for men will come in useful to guys who want to improve performance and track minute details. Ask yourself – which one are you? If you do compete in a specific sport then there may be some sports which require your Fitbit to be lighter and more streamlined. Some models can look more like watches and be a little heavier than others. The same Fitbits can be bulkier and may get in the way. If you do a sport that involves a lot of hand movements such as rock climbing or boxing, you may want to prefer a streamlined design. Fitbits can be split into different categories. One way that we think is a great way of splitting them is by looking to see if they’re just activity-tracking devices or if they are smartwatch-type bands as well. This is a great divide for those buying a Fitbit because it allows you to filter out the unnecessary Fitbits for you. If you already own a quality smartwatch then you don’t necessarily need the usually-more-expensive Fitbits with smartwatch-type features. But then again, why were we made with two arms? The other side of the coin is that guys who want a smartwatch as well can get both in one product to save money. Which one do you need? What Are The Main Benefits Of Using A Fitbit For Men? A Fitbit is designed to improve the health and wellbeing of its user. There are a number of features on a men’s Fitbit that afford multiple benefits. Some of these relate to its overall aim but some benefit the individual in other ways. Here, we are going to take a look into the core benefits of a men’s Fitbit. Fitbits help us improve our activity levels by reminding us when we have not been active for long periods. They give notifications of our sedentary state and urge us to start moving. Some even come with workout routines displayed on the screen to give you exercise ideas. Ultimately, this increases our wellbeing and goes towards preventing sore muscles and aching joints as we age. most Fitbits also help us sleep better. They track our sleep patterns and use this information to give us bedtime reminders. Some of the best Fitbits for men can even track the different stages of our sleep. a Fitbit can be used to motivate its user. They are cool products that you can be proud to own. Us men love our gadgets and it makes exercising more fun for us. You also find motivation by competing with friends who also own a Fitbit. they look cool! You can’t deny that most of the Fitbit bands look awesome and are very stylish. At the same time, most of them use neutral colors and sleek designs that can be incorporated into most of your closet. Whether you’re rocking your now questionably-smelling shorts, a suit or your Sunday bests – a men’s Fitbit will match anything! we don’t want to give too much away just yet because we’ll talk more about this in the following section, but the Fitbit app is a huge benefit. The stats and diagrams on the app can be utilized by any guy competing in a sport recreationally or professionally. many of the best men’s Fitbits have multiple features that are similar to a smartwatch. They can sync to your devices and notify you of emails, calls, texts, upcoming events and more. Some models can even let you respond via the Fitbit too! Who needs a smartwatch when you can have your cake and eat it too? Just don’t tell your Fitbit you had cake. What Is Special About The Fitbit Brand? Even people who are not aware of the capabilities of a Fitbit are still aware of the Fitbit brand. The name for these products has almost become simultaneous with the brand name itself. People are often swapping the terms “fitness band”, “step counter” or “activity tracker” with “Fitbit”. We even did it ourselves in the opening sentence to this paragraph and multiple times before that! The interchangeability between the product name and one specific brand is more than down to clever marketing. Fitbit is dominating the market when it comes to activity trackers and it’s because they provide quality products with a complete experience. You can get your hands on many types of fitness trackers and step counters, but the Fitbit models go beyond these capabilities. They provide multiple smart functions that help us further than staying fit and active. They’re also able to identify specific sports by reading movement intensities and patterns, which is something that their competitors cannot always compete with. Yet, one of the most special aspects of Fitbit is to do with how they help you use your data. To complement their Fitbit family, they have developed a downloadable free app where users can access real-time information about their levels of activity, sleep and much more. The app is a useful space to monitor your lifestyle, performance and make goals to help you reach targets. It also functions as a social zone where Fitbit users can create challenges among friends to motivate each other and start competitions. Overall, the Fitbit app is an invaluable addition to the lifestyle band game – and is something that really makes the brand hop, skip and jump out of the crowd. How Long Does The Charge Last On The Major Fitbit Products? Fitbits are not made equal. They have different specifications and capabilities. One of the differences between the different men’s Fitbits is their battery length. Some of the older Fitbit models – but still just as popular – don’t use rechargeable batteries and use replaceable ones instead. Yet, Fitbit provides these models with the required batteries and they last for a considerable six months before needing to be replaced. This may be more appealing to some guys. We have sourced one of them for just you guys on our list, below. Many of the more modern Fitbits use rechargeable batteries with differing lifespans before needing to be plugged in again. We say “plugged in” but in reality, these products don’t come with a plug. Fitbit provides USB chargers with their products which can be charged using your laptop. 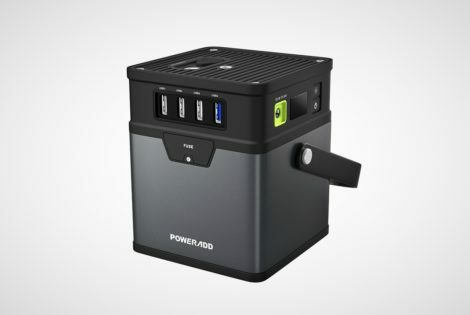 This may be a little annoying for some but it will be welcome for many men who want compact and transportable chargers they can also travel abroad with. 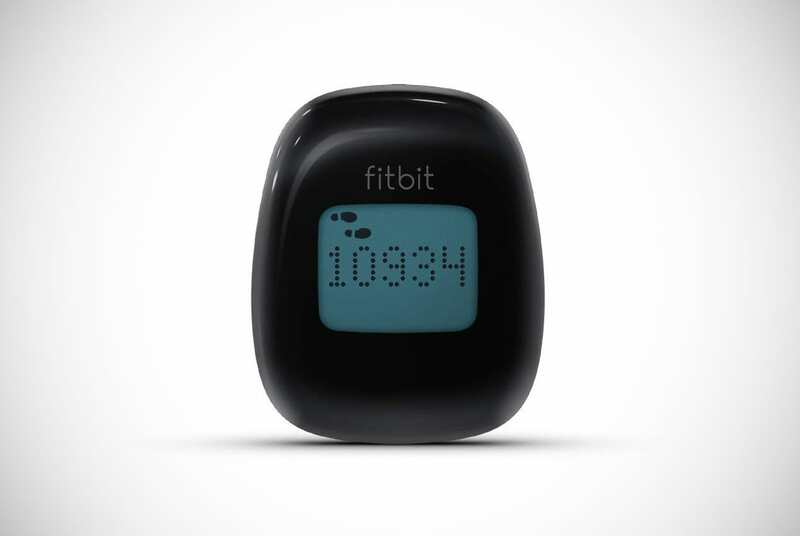 Most Fitbits with rechargeable batteries will last for around four days. The length of time between charges will change depending on how frequently you use your Fitbit and what you do with it. Naturally, someone who checks in every now and again will get the full +/- four days. On the other hand, if you’re watching workout videos, listening to music as you run, responding to calls and doing similar stuff, your Fitbit’s battery life is likely to be cut significantly. No Fitbit should last less than 24 hours. At our start line is the Fitbit Charge 3 Fitness Activity Tracker. This model has many different features to keep you at the top of your game and living a healthy life. It’s the next model up from one of their previous successes – but is it better? Let’s find out! The product has been made with different athletes and the everyday exerciser in mind. Owners can choose from more than 15 sporting modes. These modes reflect different activities such as yoga, swimming, cycling, running and more. Before each workout, you can set a goal that corresponds to your sport to help you track your performance and relevant progressions. Stats are delivered to you instantly via the Fitbit app so you know when you’re killing it – and so you know if you should have passed on the extra cheese and extra toppings on Friday night. Some of the stats that it will give you include your heart rate and provide tracking data of your heart rate over time. One of the most awesome additions to this Fitbit for men is a personal zen coach. Owners can choose to take a breathing class tailored to them based on their current heart rate. This is a great way to de-stress and relax after a long day at the office. It will also count the calories you burn during the day and compare this over time to give you long-term activity trends. Runners and cyclists should consider connecting this Fitbit to their smartphone’s GPS. In doing so, the Fitbit will receive accurate data of your running route so you get valuable performance stats, such as distance covered and speed. It’s practically a treadmill display on your wrist that won’t weigh you down. Swimmers aren’t left out either. Not only is this Fitbit for men sweat resistant, but it’s also swim proof and water resistant. Aquatic athletes from front-crawl fanatics to deep-sea divers can make exceptional use of this men’s Fitbit. We say that because its water resistance continues down to an impressive 50 meters. That’s more than enough water resistance to keep it protected as you drowsily step into the shower still wearing it before your morning espresso. Users might be able to programme this Fitbit for men to their specific sport, but many of the features are applicable across the board. Two such features are the Fitbit’s stopwatch and countdown timer. Using these features comes in handy as you record your attempts at beating your personal best or counting down resting periods between weight-lifting sets. Another exceptional function of the men’s Fitbit Charge 3 Fitness Activity Tracker is to do with sleep. It goes beyond competitors who also track time spent awake and getting some shut-eye. This Fitbit will record the different stages of sleep you experience so you can get detailed information on the time spent in each sleep cycle every night. This information is packaged on the Fitbit app in a neat display too! But, this Fitbit doesn’t just tell you how you’re doing, it will try to improve your sleeping pattern as well by providing you with bedtime reminders so you get your full eight hours. The same goes for your activity levels. It will notify you when you have been sitting for too long so you start moving around and don’t get a stiff neck or back pain. One of the ways that Fitbit upgraded this product from their previous model is by making the display touchscreen compatible. 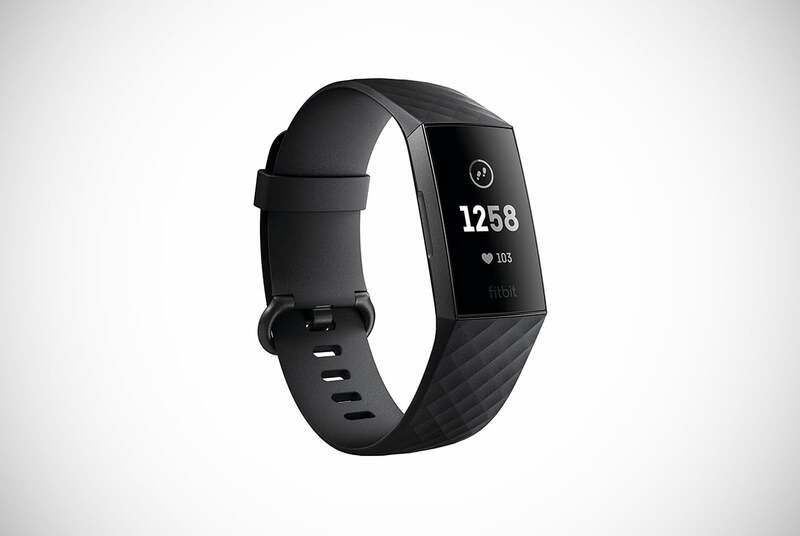 This Fitbit for men has a sleek and cool aesthetic that oozes style. The dashboard gives you real-time data regarding your activity levels and health. And, it can be used to access a number of apps. In fact, it somewhat doubles as a smartwatch to give you email, text and call notifications straight to your wrist. You can even make the lunchtime sandwich run more seamless and pay for your order using this Fitbit band due to a built-in chip. Overall, an impressive start with a lot to offer. 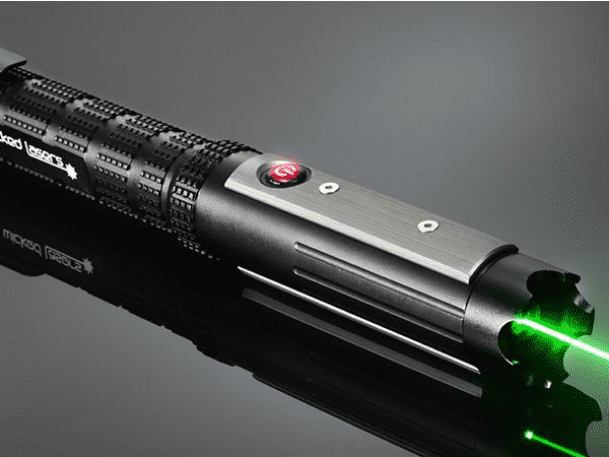 This model comes in a choice of four colors and is supplied with rechargeable batteries and a manufacturer warranty. We’re off to a flyer – is there any catching it? The second Fitbit for men we’re going to review is the Fitbit Flex 2. Admittedly from the outset, this fitness band is not as intricate or doesn’t afford as many functions as the previous one, but it still has a lot to offer many guys. It’s also a cheaper option, so it could be argued to be better value for money too. You can decide for yourself – here are the details. This is a small and slender Fitbit for men which have been made that way for a specific purpose. The wristband has been manufactured with a durable elastomer. If elastomer may as well be Chinese to you, then think of the flexible material that most quality sports watches and fitness bands are made with – it’s that. It’s kept secured with a steel clasp of surgical-grade quality which can be adjusted to fit men with a wrist circumference between 104 and 206 millimeters. The reason that this Fitbit band for men has been made so flexible and streamlined is that it has been designed to be concealed in a way that the wearer prefers. It can be concealed under watches or even in some men’s bracelets. It’s going to suit a lot of guys – unless you’re a guy who goes hiking through the desert in summer or runs at altitudes above 30,000 feet. It’s likely to suit you even more because there are four color options to choose from, which makes it easier to conceal beneath your favorite watch if desired. The only slight issue with this fitness band for men is that it doesn’t come with a wall charger. Instead, Fitbit supplies a USB charger only. Enough about all that now – what can it do? Unlike the model that we just saw which has an extensive number of sporting modes that need to be chosen manually, this Fitbit will automatically assign a sport to your current activities. It chooses from a pre-set selection of popular sports by recognizing the activity patterns in those sports and your own activity patterns. As you exercise, the Fitbit Flex 2 will send your stats and performance data straight to the Fitbit application so you can mull over it or show it off when you’re ready. This is on top of tracking your everyday activity. This men’s Fitbit will keep count of your daily steps, the distance you covered, how many calories you burned and it will even calculate the number of minutes you spent being active and the other minutes you spent resting. Speaking of resting… this fitness band will keep tabs on your sleeping pattern and sleep quality. It will provide you with accurate data to tell you how many hours and minutes you slept for and the type of sleep you experienced. This means you will have to keep wearing it during the night, but because it is made of flexible material, it won’t dig into your wrist or cause discomfort. By continually wearing it, you also have the benefit of not needing to set another alarm. This cool Fitbit gives you a silent wake up with a vibration on the wrist. Now your partner can stay snoozing and you can stay in her good books. Once awake, don’t worry about having to remove it for showering or bathing because it’s swim proof as well as sweat resistant. The last thing we want to make sure you’re aware of on this model is its notifications. We’ve already mentioned its silent alarm, but it does even more alerting than that. If you don’t move within one hour it will give you a nudge to go and take 250 steps. By looking at it you can see it doesn’t have a fancy touchscreen display, but the LED lights are color-coded to inform you of different things. These lights correspond to different notifications such as daily goals, calls, and texts. This option is so good – we just wish we had more wrists. No wall charger – USB only! Slightly more color options are given to those buying this Fitbit for men. There are five different designs to choose from and all of them are awesome. 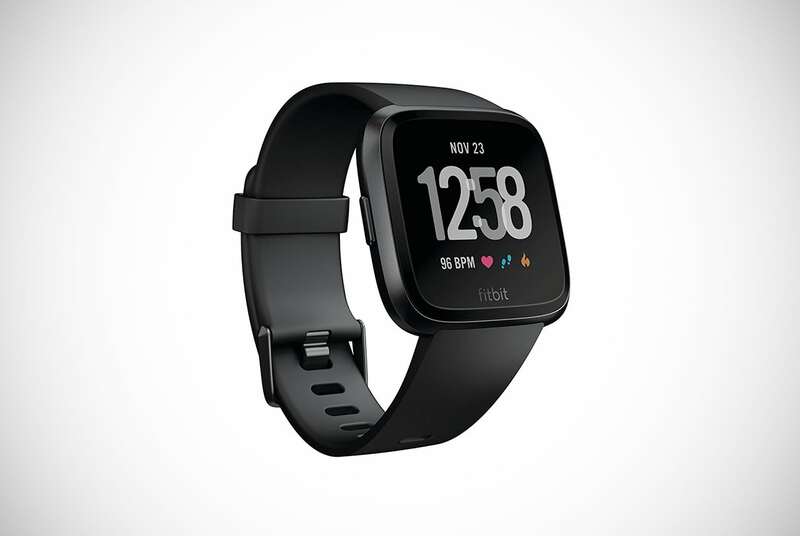 As the name suggests, the Fitbit Versa Smart Watch is unlike other fitness bands. Instead of being a streamlined and small design like the one we just witnessed, this one is slightly more bulky and heavier because it looks exactly like a smartwatch. Admittedly, this could turn a few amateur and professional athletes away, such as boxers or fencers. When you hear about its features, you could easily argue that this is a fitness band and a smartwatch rolled into one. But before we get into its outstanding capabilities, let’s stick to its aesthetics and explain its dimensions a little more. It’s made of aluminum which tells us that Fitbit has tried to reduce the weight of their creation without compromising on durability and protection. This fitness band for men is supplied with a small and large band that can be adjusted for wrist lengths between 140 and 206 millimeters. That’s the majority of guys taken care of! All men can tailor the main aspect of its appearance. You can get accessories for it or download clock faces for a style that ticks your boxes! The product has an average battery life of four days. Between each charge, you will be able to access general everyday activity data surrounding your heart rate and distances, including information on steps made and calories burned. Like the previous two, it will track the amount of sleep you have and the quality of your sleep. What it can’t do is stop your girlfriend complaining about your snoring. It’s equipped to help you manage more specific activity goals in recreational and performance sports too. Yet, one of the best features is that you can watch personalized workouts on the Fitbit’s display. Your own personal trainer sits on your wrist and coaches you through every exercise so you get fitter, healthier and stronger. When you want this men’s Fitbit to track your stats for a specific sport, you have two options. You can either manually choose for an extensive list of sports so it can more relevantly comprehend your movements and activity data. Alternatively, you can rely on Fitbit’s impressive SmartTrack feature. The SmartTrack feature enables this fitness band to accurately recognize certain movements and activity patterns – and then allocate your activity to the correct sport. In either choice, this Fitbit for men then sends your real-time results to your Fitbit account on the app ready for your consultation. Runners and cyclists can make their results even more accurate by connecting the Fitbit with their smart phone’s GPS and tracking real-time distance and speed to the smallest detail. Oh, and don’t worry if you’re a water-sports-type guy. This men’s Fitbit is both sweat resistant and water resistant up to a whopping 50 meters as well. It’s perfect for swimmers and divers! Now let’s dive into the features that had us telling you that this fitness band could easily be considered as a smartwatch as well. One of the most unique features on this Fitbit for men is that it can hold over 300 songs. By downloading music from Deezer or Pandora, gym-goers and fitness fanatics can get a bottle full of audio motivation as they pump iron or take to the jogging tracks. Just be warned, getting playlists through them will require you to sign signing up to a monthly subscription. Other smartwatch qualities include its compatibility with lots of apps from Uber to get you home from the office, to the New York Times so you stay up to date on current affairs and are ready for revenge at this week’s bar quiz. You will also get notifications regarding emails, text messages, calendar events, and calls. What makes it stand out, even more, is that Android owners can even reply to these notifications via their Fitbit! You don’t see this often on Fitbits. We have just one more cool feature to tell you about. Like the first Fitbit for men we looked at, this one can also be used to pay for your groceries and morning coffee dash. It includes an NFC chip that enables the Fitbit to make secured payments on behalf of some bank account holders! Sold? The penultimate product on our buyer guide of the best men’s Fitbits is a unique inclusion. If you like the work of Adidas and you like their designs, then there is a good chance you will love this Fitbit for men. 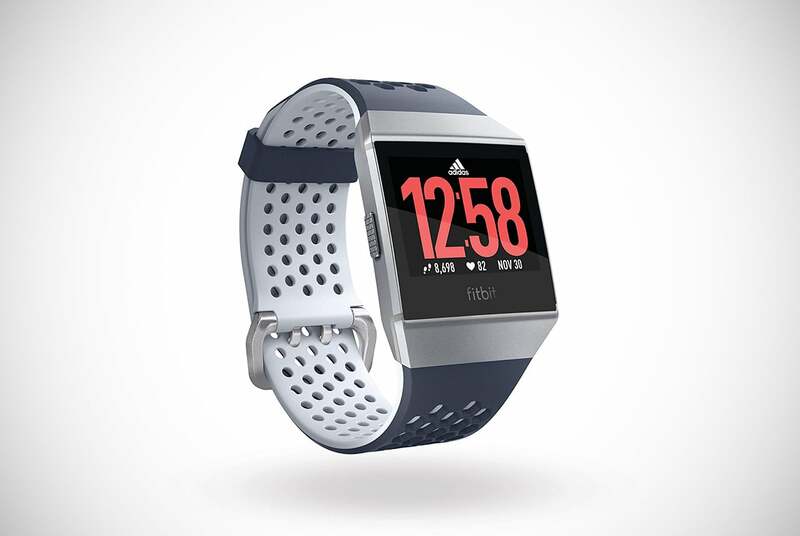 The Fitbit Iconic Adidas Edition GPS Smart Watch has been modeled on Adidas branding. It comes in a choice of four colors and has an aluminum frame with Adidas’s clock face and their signature dual-toned strap. On average, wearers can enjoy the phenomenal features of this fitness band for around four days before needing to recharge it. It comes with two bands. One is for small wrists and the other is for men with larger wrists. Either way, if you have a wrist circumference between 140 and 206mm, you should keep on reading! This Fitbit for men can do a lot of the stuff the previous models could do. We’ll spell out those details in just a second but first, we want to tell you about its cool unique capabilities. This is one of the only men’s Fitbit bands that has a built-in GPS. With his model, you don’t need to connect it to your smartphone’s GPS to get correct stats. The built-in GPS will give you accurate readings of the distances climbed, the speed you cycled at, or if you managed to beat your sprinting best. One of the other innovative and standout features is the fitness band’s exercise classes. Wearers can get easy-to-follow exercise routines and top advice from Adidas coaches. Their coaches will guide you through the best movements to get you living a healthier and more active life. You can follow these routines while listening to your favorite tracks to keep you motivated because this Fitbit lets you create your own playlists and listen using Bluetooth technology. Or, you can download the ones at Pandora – but again, this comes at a monthly cost. Other and more common features are plentiful. This exceptional Fitbit for men will keep track of your heart rate and give you everyday information such as the time and date – and it will aid you in getting a better night’s sleep. It’s also equipped to record more sport-specific data. Users can choose to programme the Fitbit to the specific sport that they’re about to undertake and the Fitbit will make relevant recordings of that activity and send it straight to your Fitbit app. This data can then be used to spot trends and improve your workout routine to help you succeed. It’s also a great way to notice progressions which simultaneously increases motivation and satisfaction. This Fitbit has many smartwatch functions as well. it’s a personal trainer in the gym and a personal assistant in the office. You can download apps to the Fitbit and keep track of things like the news and weather. You can also receive notifications of messages and calls – and it has a built-in NFC chip. This means if you have a co-operating bank, you can start paying for things via your Fitbit. Having your financial details on this Fitbit may put some people off but all of your data is protected with a passcode upon activating the touchscreen display. We are going to take things back to a simpler model to finish up. The four previous men’s Fitbits were very sophisticated and packed with exciting features. Well, this one is just as exciting but a simpler model. It’s one of Fitbit’s older creations that was made in 2012 but it’s still just as popular today due to its effortless simplicity. One of the first things that strikes you when you see this design is that it isn’t a band like the others. 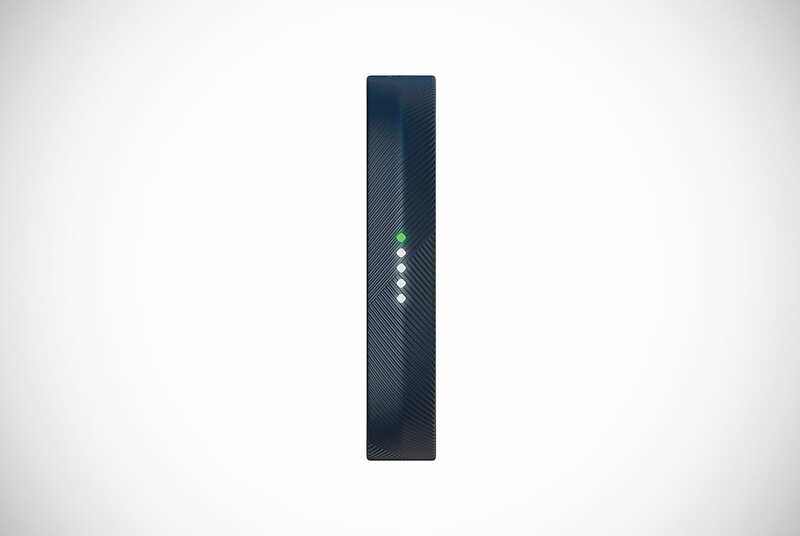 This Fitbit for men is a clip-on design which should be placed on clothing such as pockets or on waistbands. The good news is that this means it’s a one-size-fits-all Fitbit suitable for every guy. 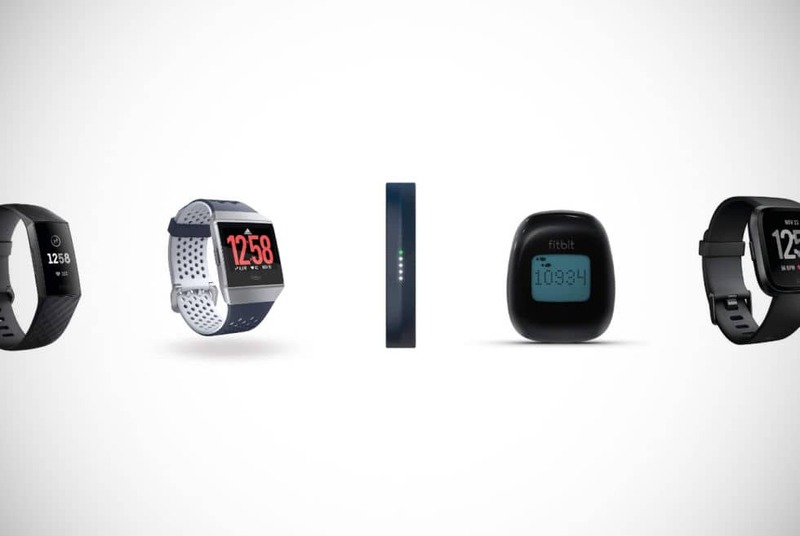 The Fitbit Zip Wireless Activity Tracker is the smallest Fitbit in their family of Fitbits. It comes in four cool colors, but most guys are only going to be interested in three of them. Choosing the magenta color will only result in your girlfriend stealing it. As it’s the smallest Fitbit and one of the most simplified Fitbits for men, it’s most often used to track everyday activity rather than specific sporting performance. If you’re a guy that just wants to keep an eye on your lifestyle rather than the chocolate gateau in the fridge – then this is for you. If you’re a bit of an athlete then drop and give us twenty, and then work those fingers and scroll back up because the previous ones are more suited to you. This doesn’t mean that the Fitbit Zip Wireless Activity Tracker cannot be used for when you do make it to the gym. It just means you will have to adapt it slightly. For example, if you go cycling it will not record your activity as accurately as the others that recognize certain movements as cycling. Instead, you will have to move the Fitbit to other areas, such as your socks or even your laces, to get the credit you deserve. So, what does it track? It will keep a record of the number of steps you make each day, the number of calories you burn, the distance you have walked and even the length of time spent being active. The Fitbit will automatically sync to your devices so this information can be stored on the Fitbit app and ready to be analyzed by yourself later. Or, this data may be going towards your score in the group calorie-crushing competition. To find out your real-time activity data, you simply have to tap this water-resistant Fitbit and it will be displayed to you on the screen. It will also conveniently show you the time so your gym session doesn’t run into the afternoon meeting. All of its functions are powered by replaceable batteries. However, the batteries are supplied with the Fitbit and are expected to last around six months before needing to be replaced. If you want to get a bit of the Fitbit action then it’s time to make a move and choose one of these awesome options. We’ve shown you a collection of the best men’s Fitbits that are suited for different types of people. From the couch potato to the professional athlete, a Fitbit can enhance your lifestyle or training routine. Keep all of our top advice in mind when weighing up your options so you make the best choice for you. Thanks for running through our buyer guide with us today. Now, what about some running trainers? 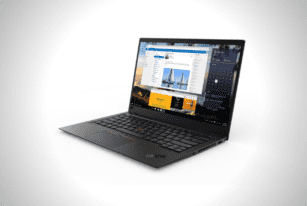 If you’re shopping for a notebook that’s specifically intended for business, then the 2018 Lenovo ThinkPad X1 Extreme could be your next laptop. 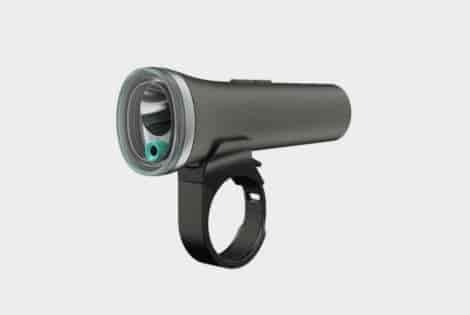 The Beryl Laserlight Core provides an alert every time a cyclist is in a driver’s blind spot. It projects an image of the cyclist 6m in front of the bike. The Courant Catch 3 Wireless Charger has a built-in 3-Coil Qi-enabled charger. 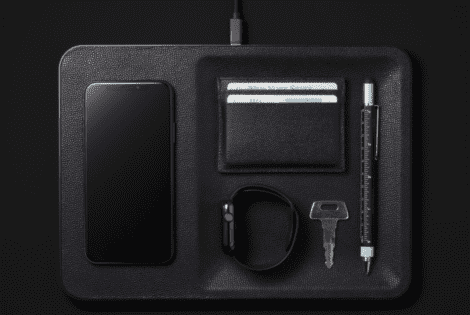 It supplies power 30 minutes faster than traditional wireless chargers. 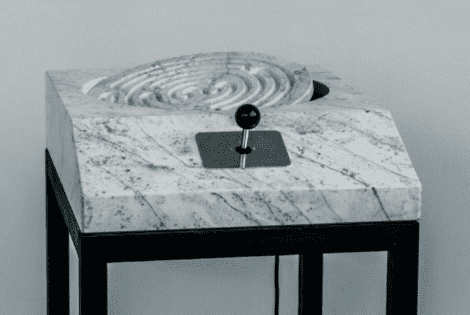 The Maze Marble Gaming Console is the perfect addition to any man cave. Classical gaming methods collides with neoclassical craft in this unique product.